You'll both look good enough to eat in this Bacon and Eggs Adult Couples Costume. 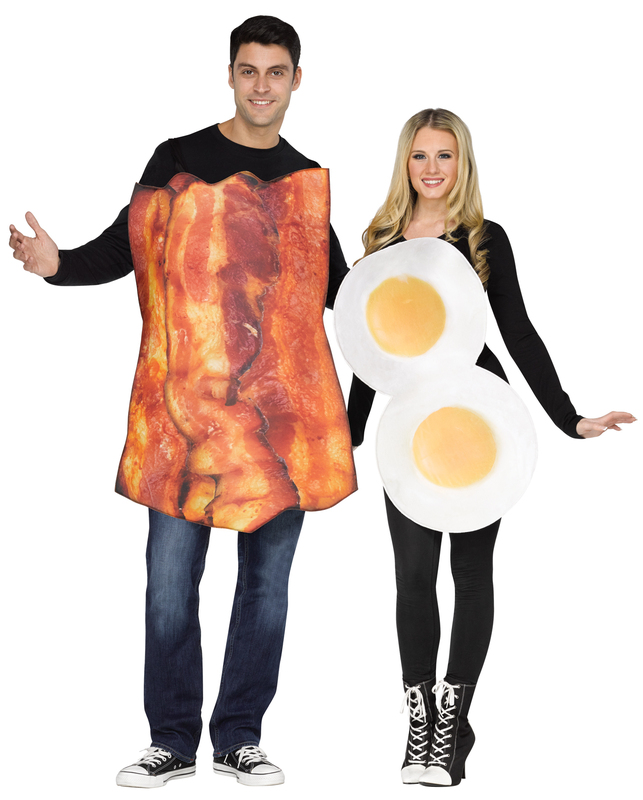 Includes (1) bacon tunic and (1) over easy egg tunic. Does not include shirts, pants, or shoes.